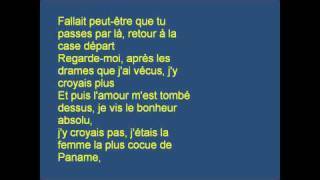 Clip de Diams Feat Vitaa 'Confessions Nocturnes' / ... + Paroles/ Lyrics. December 25, 2009 (over 4 years ago) Author: AliliCmoi. Views: 10,710,482. Category: Music. Complete the lyrics as fast as possible by typing the characters of the missing words. ... Confessions Nocturnes Diam's & Vitaa. Report a Problem. Confessions Nocturnes. Vitaa ft. Diam's - Nocturnal Confessions. Diam's : Yeah , who is it ? Vitaa : Mel , it's Vi , open the door . Diam's : Are you OK Vi ?